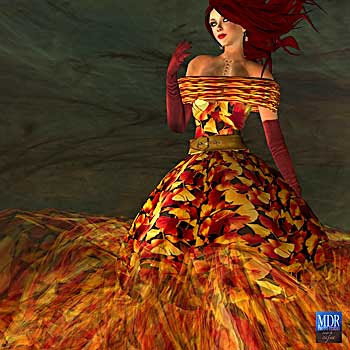 Second Life Genko wears a dress inspired by the leaves of the tree Ginkgo biloba. 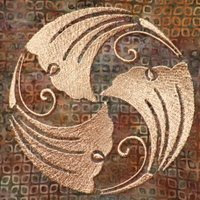 Photo enlargement and more info on It's only fashion. 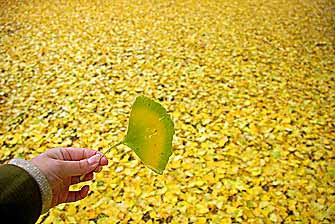 One leaf and Ginkgo leaves carpet. 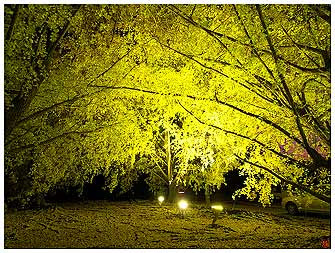 More Ginkgo photos by Happychan can be found on Flickr.com. Shih Tzu dogs going for a walk near large Ginkgo trees somewhere in Japan.